A few blocks away from the beach and located on the best area of Ipanema, Beach House, its staff and guests have been writing summer stories for more than ten years. 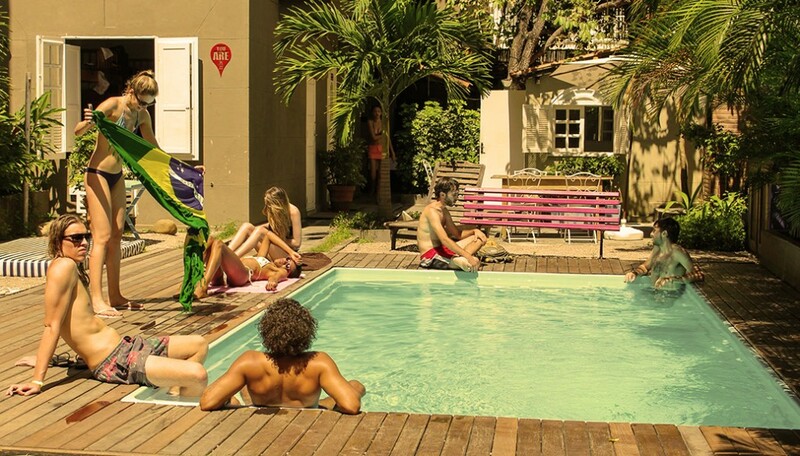 Connecting cultures, receiving those who come from a distant place and introducing them to those who live around, here cariocas open their arms to present the taste of endless summer in Rio de Janeiro. The city heat mixes a lot of feelings into enough memories to miss it the whole year. This way, our stories build memories, feelings and friendship so deep and intense that they last a lifetime. The truth is that the sweet, salty taste of the beach make it worth all the other months for those who yearned the freedom of summer, even when it’s winter. Our blessed carioca land has the privilege to live summer for 365 days a year. Without hurry, you can stay and drink another beverage, because tomorrow will be a good day to go to the beach. This way, summer stories happened on January, during the carnival, on a weekend of May, during the Brazilian independence day in September, on the November nights and in all the other days of the year. What difference does it make if it’s Saturday or Monday when the sun waits for us with anxiety and the best parties are still to come? Being a scenario for all stories, in our beach house everybody gets together before the epic nights or by the pool, with feet inside the water and singing that beautiful well-known song. And the improvised foods – many times deliciously gourmetized? Suddenly, the waiter start to serve double of people, who snuggle and share all the stories already lived there. And, all of a sudden, someone can give the idea to climb a trail, to drink one more beer, and even an unexpected romance can begin. This way, hours passes by. More than a dozen stories join many others, and all of them being shared with the new friends. Beach House has been living all of this for more than ten years and it’s proud to be considered in Rio, Ipanema the house of summer stories.